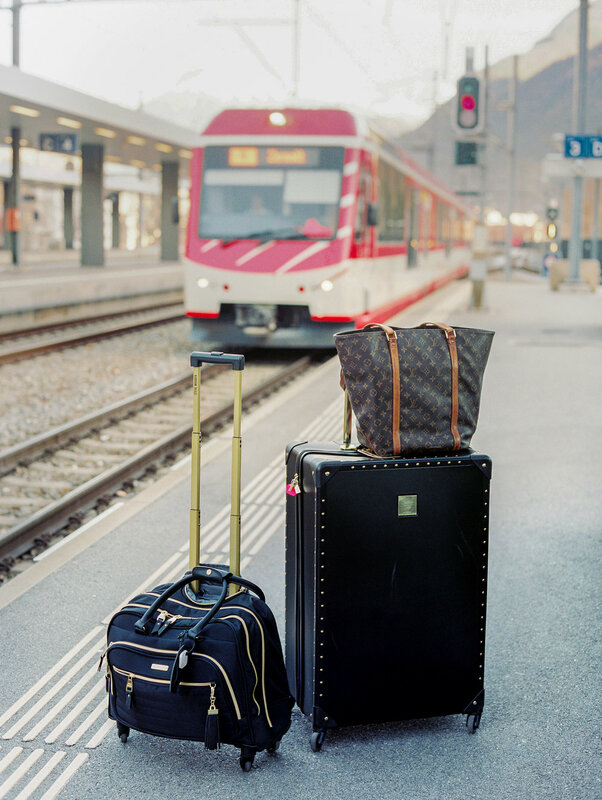 The more you travel, the more you can easily assess how much you actually need to pack. To be honest, being #teamcarryon is probably the best thing you can do for yourself when traveling around Europe — especially if your trip involves any type of moment from one place to the next. I’ll share a story of my novice mistake the first time I headed to Europe for 3 weeks. I packed 2 50lb suitcases plus a carryon. I think I had 7 pairs of jeans with me. Probably 10 pairs of shoes. And the instant I realized what an god-awful mistake it was? Trying to navigate an enormous flight of stairs at a train station. That moment when you realize there is no elevator to help you get there? Yea, that when the tears came. I now try to stick to the following formula as much as possible for any trip to Europe that is 10 days or less and I have found that is absolutely possible, and your sanity will thank you for it. The 5, 4, 3, 2, 1 just might be the best packing rule ever. Choose of mix of short and long sleeve, depending on the destination and time of year. Make sure these easily mix and match with the other pieces you are bringing. Bri’s tip: You’ll see in my Packing Guide download that I stick to a specific color pattern and this helps tremendously! Your bottoms can include shorts, skirts, jeans, and pants. I like to choose pieces that can be dressed up or down and work easily for day or night. Dresses that work for daytime, dinner, and a beach cover up if needed. Normally shoes is where people get tripped up. (<—see what I did there.) But in all honesty, you truly do not need more than 3 pairs. When I’m in Europe I’ll take a pair of dressier flats, sandals, and joggers. 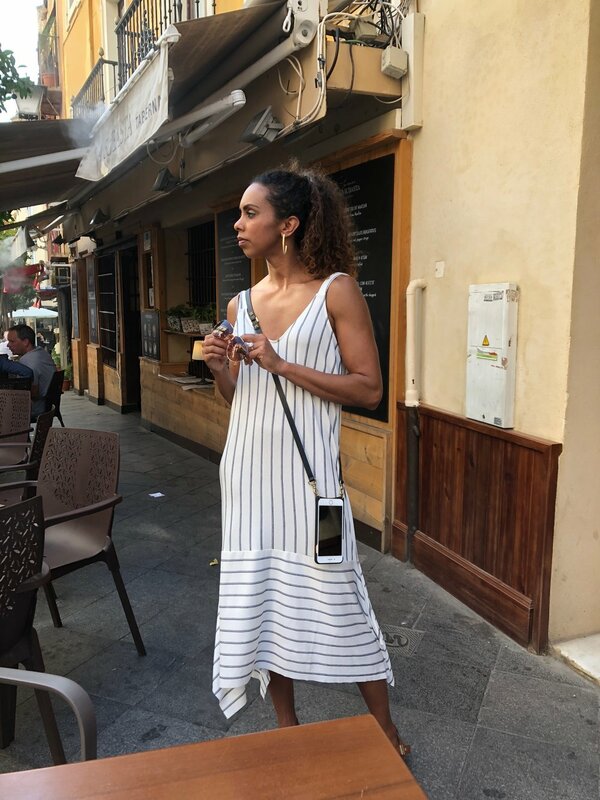 Every once in a while I will throw in a heel, but walking on cobblestoned streets in heels just isn’t practical, so for many of my Euro trips those stay home. I am now obsessed with my Bandolier phone case and use the small pouch as my crossbody purse for traveling. If that’s not for you, take a small crossbody that allows for hands free movement, and a larger tote. That’s it. I bring one jacket, hat, scarf, pair of sunglasses, and swimsuit. I do move the swimsuit category to 2 (or even 3) when I’m in a water heavy destination. But again, there is no need for multiples of all these things. It will differ slightly according to which country you are going, and the season it will be. However, the general idea is the same. When packing, think of what goes together and be sure to pick items that are classic, essential and wearable. Download the guide below for inspiration before you pack for your next trip! And if you find yourself heading to Rome, Barcelona, Dubrovnik, or Stockholm you'll want to make sure you grab my one day itineraries for these cities... It's a perfect day! Sign up with your email address to download your detailed Europe packing guide. Thank you! Click below to immediately download the guide!